Vampires, dragons, zombies, giant spiders and more can be found in this collection of stories from author M. Walsh. 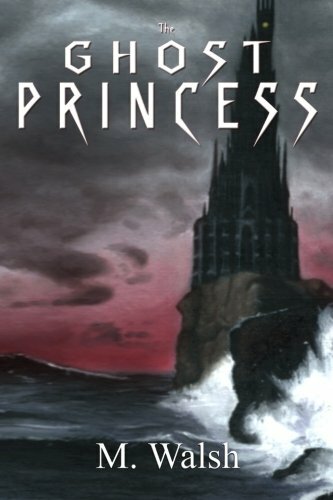 My first novel, The Ghost Princess, is now available. A neutral, mostly frontier country between two opposing empires, it is a haven for drifters, pilgrims, outlaws, and everything in between hoping to build a new life, find adventure, or just disappear. Katrina Lamont is one such individual. Once upon a time, she was the Chosen One—a warrior charged with a great and heroic destiny. But when she finished her journey, there was no happy ending waiting for her. Now she lives as an embittered, alcoholic drifter, haunted by the ghosts of her past. But when an evil sorcerer, Jacob Daredin, seeks to fulfill an ancient prophecy that may grant him god-like power, Katrina will have to take up the sword once again as she finds herself caught in a race to find the young woman whose sacrifice is the key to Daredin’s mad dream. Along the way, she will contend with Krutch Leeroy—an infamous outlaw who is not all he seems—and cross paths with Lily Blackthorn—a perky, but mysterious woman with a dark secret of her own. As Daredin’s forces close in, they will traverse a haunted landscape of pirates, demons, killers, con-men, an immortal juggernaut, and worse in an adventure where the line between destiny and plain bad luck is razor thin. Paperback copies can be purchased for $9.95 (plus shipping) on Amazon.